New Improved Price!! Great opportunity to own and live in the most convenient location with 2 parkings(tandem). Spacious unit with enclosed lanai preferred "04" stack. 4 units per floor, every unit is corner unit. 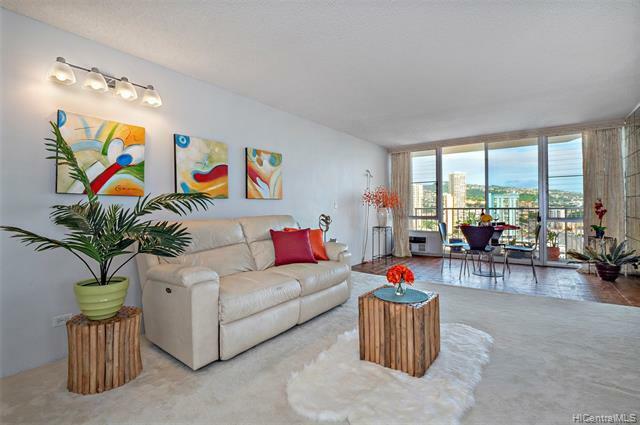 Walking distance to Ala Wai Park, minutes from Ala Moana, Waikiki, University. Great City View, Glimpse of Friday Night Fireworks, plumbing and Elevator for the building newly upgraded, Kitchen appliances upgraded. Low Maintenance fee includes Electricity, water , sewer and all common elements. Pet Friendly building.